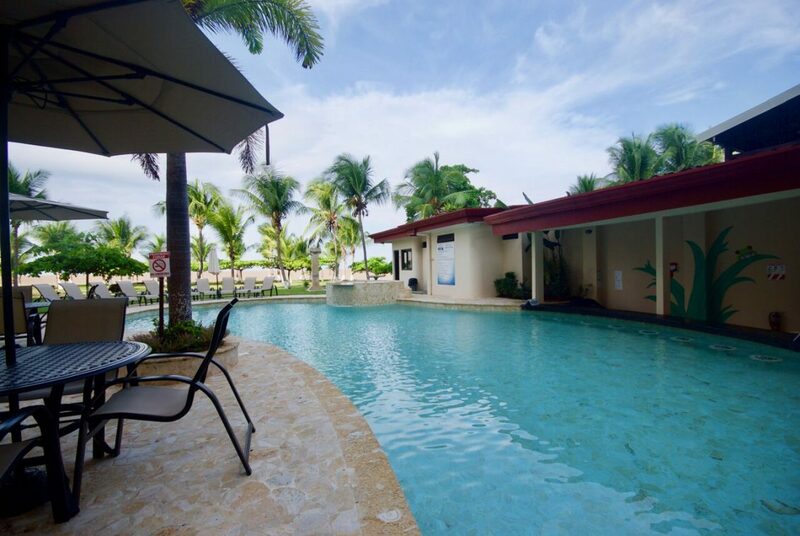 Luxury beachfront condo for sale in the popular beachtown of Jaco, Costa Rica. Enjoy one of the best views in Jaco from your luxury condo on the 5th floor of this popular botique beachfront community. This spacious 2 bedroom, 2 bath is truly immaculate, with fine finishes and well appointed furnishings throughout. Jaco is the hideaway for sun seekers and active travelers, with cinnamon-hued volcanic-sand beaches, lush green rain forest and verdant mountains. Surfers flock here from around the world, but families, and honeymooners also find much to love, thanks to the multitude of beaches, outdoor activities, dining, shopping and nightlife. Explore the Costa Rican rain forest by horseback, learning about the flora and fauna in this impressive eco-system. Take an ATV tour to beaches, remote villages and waterfalls. Try your hand at sport fishing, paragliding, sea kayaking or even bungee jumping. Spend an afternoon at the Pura Vida Gardens and Waterfalls, where you’ll find millions of plants, flowers and orchids from around the world. Zip line through the jungle, play a round of golf or take an aerial tram tour of the rain forest. Expert surfers will want to check out La Roca Loca and Playa Hermosa for a challenge. Contact David for more great listings in the Jaco area.